Annuities For Dummies is an introduction to annuities, which are financial products especially used in retirement. The book gives a basic explanation of what annuities are, and then walks the reader through whether annuities might be right for the reader. It then explains some of the popular options for different annuities and how to choose the right ones for the reader’s individual circumstances. This review will give an overview of the book, as well as its strengths and weaknesses. 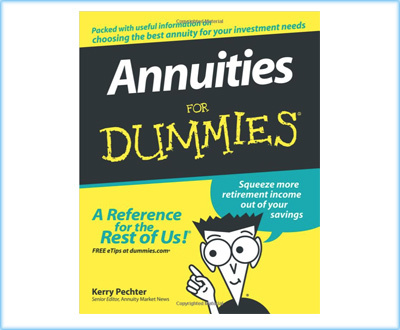 Annuities for Dummies is written by Kerry Petcher, the senior editor of a magazine called ‘Annuity Market News’ and a specialist when it comes to annuities. 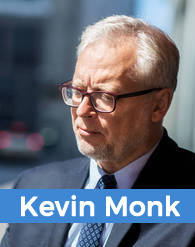 His knowledge on the subject matter is obvious, and he does a good job of explaining the concept of annuities in basic, understandable terms. Check PriceThe book explains the idea of annuities starting from the assumption that the reader is totally unfamiliar with them, and builds up knowledge from that point. It lays out a variety of financial situations people might be in, and explains which people might benefit from investing in annuities. It then gives a crash course on the details of how annuities work, what kinds there are, and some of the pitfalls of investing in annuities. You might also like: What Is an Annuity Payment? Annuities for Dummies is easy to read and comprehend, as Petcher writes with a clear and concise style, not overloading the reader with too much material. The book clocks in at 360 pages, meaning that a cover to cover read would be a fairly significant undertaking. However, most readers will navigate through the table of contents to specific sections that have the information that relates most to them. A basic, working definition of what annuities are. An understanding of why some people might wish to invest in annuities and why annuities may not be right for other people. An explanation of the advantages of annuities, especially for people who are retired or planning for retirement in the near future. A guideline as to how much money the reader should invest in annuities depending on their own financial situation. An explanation of the ins and outs of annuities that takes away some of the complexity and confusion involving investing in annuities. Tips and tricks for new investors in annuities. A listing of some of the common mistakes and pitfalls people make when investing in annuities, as well as how to avoid those mistakes. A blueprint for creating a retirement plan using annuities to build a financial picture where the reader will have money that lasts them for the rest of their lives. Probably the number one strength of Annuities for Dummies is that Kerry Petcher is able to write in a style that’s both easy to understand and also rich in information. He’s able to give the reader a clear understanding of sometimes tricky or confusing topics, and a reader is unlikely to feel lost while reading the book. Another plus for the book is that it’s extremely thorough. At over 350 pages, this book covers every topic related to annuities from most basic to most complex. For a person looking to invest their personal money in annuities, this book covers everything that person might be looking for. The one potential flaw with this book is the fact that the annuities market continues to develop with each passing year. As a result, some of the more specialized information in the book can be surpassed by new developments. For the basics and intermediate level annuities information, everything is accurate and up-to-date. But at the outer edges of the market, readers will need to supplement this information with other sources. Annuities For Dummies is a very good introduction to the concept of annuities for those unfamiliar with them. If you’re considering retirement and want to understand if annuities are a good choice for investment, this is a book that can set you on the right track.